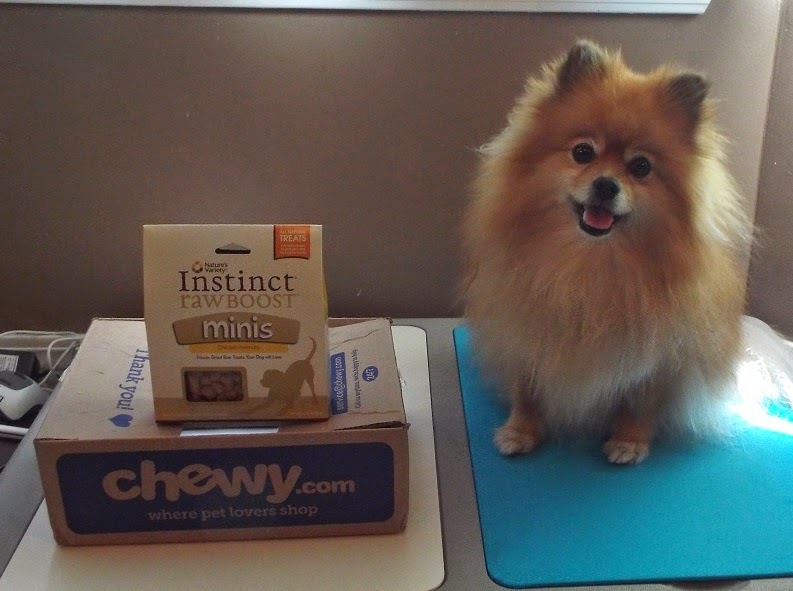 It's my box from Chewy.com! 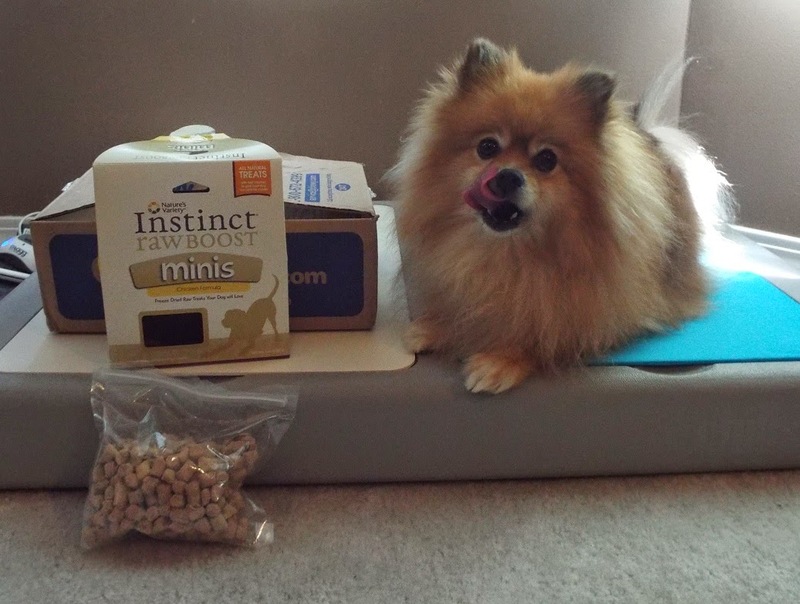 This time Chewy.com sent me some Nature's Variety Instinct Raw Boost Minis! 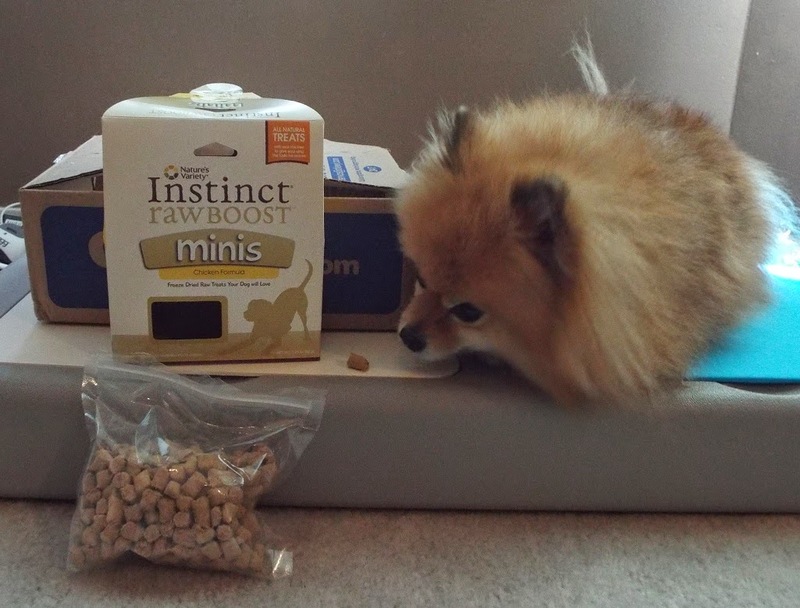 Raw Boost Minis are made in the USA, with all natural freeze dried raw ingredients. 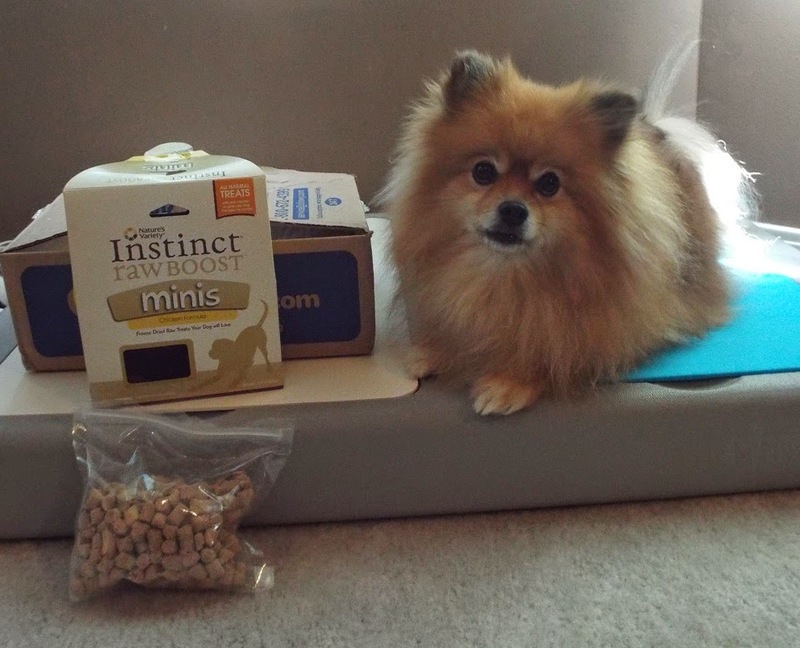 They are a furrific treat for dogs on a raw diet, but any dog can enjoy them. OMD! A treat, and you want to take photos first! Seriously? I'm just getting a sniff, I'm not trying to sneak a treat, really. 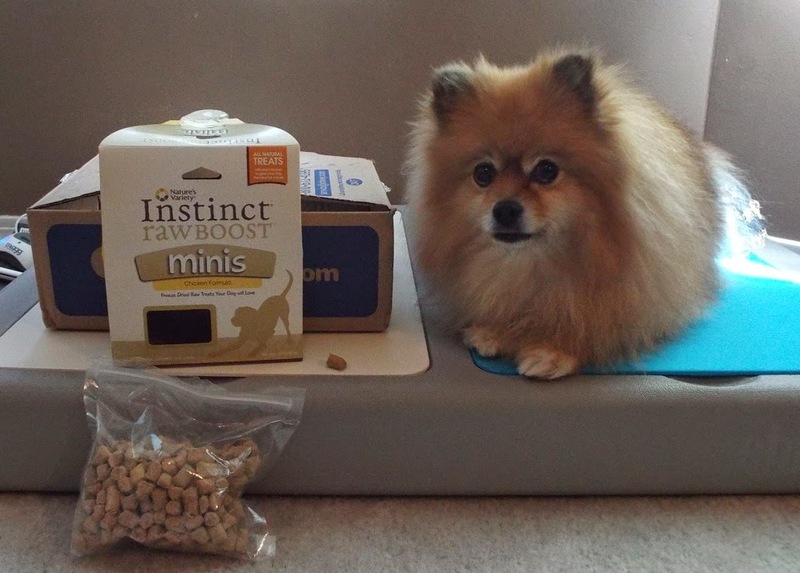 Raw Boost Minis are the pawfect size for training, and they are only 2 calories each. What treat? I didn't see a treat, did you see a treat? These delicious treats are hard to resist. Pawsonally, I don't even try to resist. Instead I nose the bag asking for another one pawlease. The bag is resealable to keep them fresh, and to keep me from nosing it open. BOL! Besides, what makes you think I was the one who stole the yummy treat anyway? Ohhh, those look delish! We are going to have to give those a try!! Mom contemplated getting those this month. They are too small for us, but she thought they might make good training treats. Those sound like just the thing I need to stay on my diet!